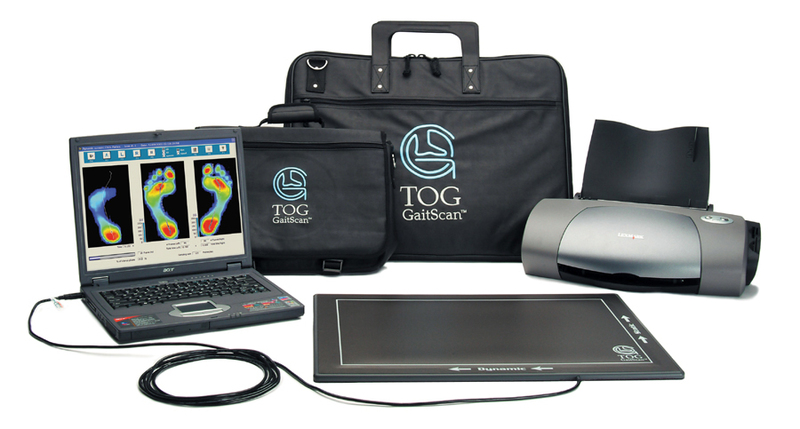 Experts in Custom Foot Orthotics | Gait Scan Available! We are experienced at creating custom orthotics for you using our state of the art technology! Central Park Chiropractic and Massage uses a state of the art computer hardware and software GaitScan system that helps us analyze your feet. This analysis detect abnormal foot function which may be affecting your feet and other parts of your body. We scan your foot as you walk across the pressure plate. Thousands of tiny sensors capture the distribution of pressure of your foot over time. The computer will then display 2D and 3D visual representations of the pressure under your foot. You can see where you have too much or too little pressure. We offer gait scan assessments. People who stand or walk all day will benefit greatly from orthotics as do people who suffer from pain during any form of sporting exercise. Custom Orthotics from Central Park Chiropractic and Massage also help to counteract extra stress being placed on the feet of overweight individuals. Orthotics can help alleviate achilles tendonitis, corns, metatarsalgia, sesamoiditis, ankle sprains, flat feet, neuroma, tendonitis, arch pain, heel pain, pronation, top of the foot pain, bunions, knee pain, shin pain, and toe pain. Orthotics may also eliminate posture problems and foot and leg pain. Your feet need time to adjust to the correct biomechanical (walking) position. Orthotics should be gradually used to begin with. During the first week of use, start with 1-2 hours of use for the first day, then for each day, wear for additional 1 hour more. So on the 7th day, wear the orthotic for whole day. For a full view of all the orthopaedic shoes we offer please click here or see the options below. You can also book an appointment for a gait scan by calling our office, located in Burnaby BC at 604-439-1230. We look forward to hearing from you. I had suffered for years from extreme pain in my neck, back and head. In just a few months, the difference has been amazing. Dr. Kaila has also worked on my back, to give me better posture. Service is first class, professional and friendly, leaving you completely at ease. Amy is absolutely amazing and I would recommend this clinic to anyone. This time last year I was receiving treatment from Dr. Kaila for a chronic Achilles injury as a result of over running without any stretching. I used to believe orthotics are a waste of time and money. I had to stop running for a long time and just assumed I could never run again. Thanks to Dr. Kaila’s treatment and being fit into a run flex orthotic I just completed my first half marathon without any Achilles pain! I never thought it would be possible ever again. A number of years ago I herniated a disc in my lower back. I elected not to have surgery and over time it got better. But sometimes I would “move wrong” and aggravate it again, causing me to spend days in bed recovering. Two years ago, on the same day my back “went out” once again, and I decided to try chiropractic. I had never gone to a chiropractor but I thought it was worth a try. Although I was barely able to walk when I went in, I got significant relief even from the first adjustment by Dr. Kaila and in a couple of weeks I was fully recovered. I continue to go back every couple of weeks or so for a “tune up” and this has kept me going and pain free now for 2 years.